Over the past 5 years, Artificial Intelligence (AI) has moved up the ranks from science fiction into real world applications. 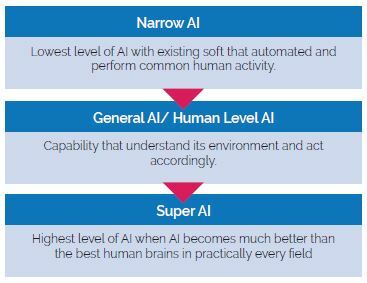 Significantly, AI has taken the automotive industry by storm in driving the development of level-4 and level-5 autonomous vehicles (AVs). AVs are being tested rigorously all over the world. AVs (sometimes also referred to as self-driving cars or driverless cars) are vehicles that use a combination of sensors, cameras, radars and artificial intelligence (AI) to drive between destinations without a human driver. To qualify as a full AV, a vehicle must be able to navigate without human intervention to a predetermined destination across routes that have not been adapted for its use. So far, SAE International has developed a framework that’s gaining widespread recognition across the industry and thus AV concepts have been broadly adapted. The definitions and levels are laid out in the SAE J3016 diagram below. Increasingly autonomous transportation of people and goods will have major ramifications for employment and job skill requirements. In November 2018, Tun Dr. Mahathir in his speech at the Asia-Pacific Economic Cooperation summit in Papua New Guinea highlighted that policies were needed to protect the losers from a shift toward a technology-driven economy. Unfortunately, this includes replacing the job of drivers in today’s economy. Perhaps, in the scenario where a ride-hailing company no longer needs drivers for its AVs, the livelihood of drivers employed in today’s sharing economy will be highly jeopardised. Foreseeably, one viable solution is to retrain and reskill them. However, the concept of transitioning current workforce to new jobs is easier said than done. It requires a major mind-set overhaul to fully comprehend the intricate nature of the future of work. By using a neural network, (a subset of AI that requires a massive amount of computational power) it is both critical yet imprudent to safety whereby the detection accuracy of the network needs to be much higher than that of today’s internet speed. The system needs to operate flawlessly irrespective of weather conditions, visibility or road conditions. However, to achieve this level of game-changing performance, a neural network needs to be trained based on representative datasets that include samples of all possible driving, weather, and situational conditions. In practice, this translates into large petabytes of training data. However, AI is not completely fool-proof. It can still be tricked. For example, adversarial images or pictures engineered to fool machine-vision software, can be used to undermine or even crash self-driving cars. To illustrate, a 45 mph sign sticker applied to a stop sign could possibly confuse a machine vision and crash the car. In 2017, a neural network trained by Google to identify everyday objects was tricked into thinking that a 3D-printed turtle was a gun. In response, Waymo’s engineers said that they were building redundancy into their system to address these fatal possibilities. All this adds up to a long list of concerns around the commercial timeline and feasibility of self-driving cars, which includes hacking, ransomware and privacy breaches. A similar challenge recently surfaced when Volvo opened up about a problem they were facing to recognize the unique movement of kangaroos in Australia—a major animal-related accident cause in Australia. AVs’ adoption requires large-scale re-purposing of urban space such as parking areas and traffic lanes. 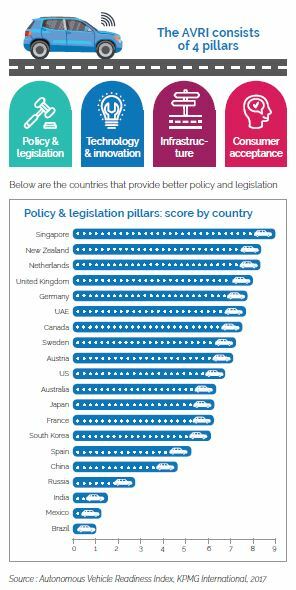 However, other challenges in relation to legislation, cyber-risks, liability, infrastructure and technology appear to slow down AVs’ commercialisation rate. 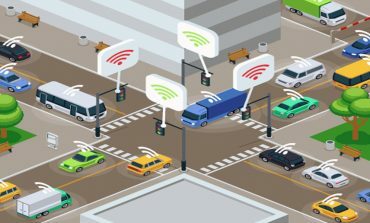 As future AVs become safer and more efficient, they will rely on high-bandwidth mobile networks to wirelessly share and receive data from each other. Self-driving vehicles currently operate by collecting data from an array of sensors which is then interpreted by various algorithms. There is however a limit to AVs’ capability and the information collected by these sensors at present. To illustrate, AVs cannot see vehicles outside their field of vision or become aware of impending traffic occurring miles down the road. The main challenge is to overcome this vision constraint. That said, the solution involves constant access and interpretation of data collected by thousands of surrounding vehicles and other infrastructure. When the cars evolve further from hardware units into end-to-end software platforms, the wide range of IT systems equipped across AVs make them vulnerable to cyber attacks. Cybersecurity issues in AVs can be caused by data hacking, system hacking and data privacy. In view of this, Tesla previously implemented a policy to force owners of its AVs to give up rights over vehicle data. Conversely, ownership of data now falls in the hands of the the manufacturer. Here, we can see how data is becoming an increasingly valuable source for manufacturers to advance their machine learning capability. A recent study revealed that one possible threat looms concerning AVs’ security. When connected, AVs are vulnerable to various forms of unscrupulous exploits. And in the worst case scenario depicted by the study, AVs could even be manipulated to plan a bomb attack by unsuspecting terrorists. Currently, 4G network is fast enough for most tasks, such as sharing status updates and requesting rides. However, it lacks the speed to equip AVs with human-like reflexes that could well have prevented the fatal Uber self-driving car crash. 5G’s low latency and safety characteristics will play well in the evolution of AVs, enabling smart vehicles to communicate with each other, and creating opportunities for connected AVs. An AV operated via a cloud-based, autonomous driving system must be able to stop, accelerate and turn when told to do so. Any network latency or loss in signal coverage preventing the message from being delivered could result in catastrophic consequences. However, wireless operators believe that AVs still have a significant way to go before they come into service, despite ongoing pilots and trials. According to a Gartner analyst, Will Hahn, 5G will be essential to the development and use of AVs, with two important caveats, the network must be truly 5G, and the vehicle must be truly autonomous. Apparently, both are still very unlikely in the near future. The impact AVs can exert must be looked at from the mobility ecosystem lens as a whole. As more electric AVs take to the streets, consumers may soon be able to forego mundane tasks such as stopping for fuel. Disruptions in other business sectors, like big department stores wiping out smaller grocery stores, suggest that this transition could push the billion-dollar market of fuel stations and convenience stores toward an impending collapse. One such evidence was studied by a recent Shell pilot program of a fuel-delivery service that refills cars while their passengers are not around. Quite simply, if F-16 jet fighters can be refuelled mid-air, we ought to be able to adapt the technology to on road vehicles too. When its commercialisation eventually materialises, AVs are expected to navigate in a shared environment with pedestrians, cyclists, animals, debris and inanimate objects. Plus, AVs need to drive in whatever condition the weather brings. Road infrastructure, regulations, and driving customs vary from country to country and all these factors are overseen by a multitude of regulatory bodies. As of now, it is difficult to regulate and standardise the driving environment to accommodate AVs. Nevertheless, to accelerate AVs’ adoption, testing instruments require a large designated area to safe guard the public from any potential risks before the technology matures and is ready for mass commercialisation. In addition, a shift in demand and supply requires governments and businesses to anticipate market changes even faster than before. The industry needs to determine the types of data that can be shared and how it will be anonymised. This will likely necessitate government supervision to ensure compliance and implementation ethics. Deploying a common identity layer and identity authentication protocol that enable trustworthy interoperability and secure connectivity between all entities will help to cover the groundwork as far as public policy is concerned. For this to happen, stakeholders engaged with developing AV systems, components, infrastructure or complete AVs must participate in both standardisation activities and interoperability testing in order to make sure that a basic level of trust can be established for each and every device that’s adopted in AV communication. There’s a common notion that when more AVs make their way on the road, there will be fewer accidents. This implies that there will be fewer liability claims. However, the ongoing debates making rounds all over the world now seek to find answers regarding who should get insured. Is it the driver, the car manufacturer or the programmer? 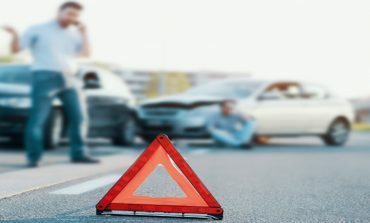 Today, a lot of the liability falls with the driver, but in a world where the vehicle is completely in control, it doesn’t make sense to peg any sort of liability to the passengers. Before any common agreement can be reached on the predicament, let’s not forget that there are other data privacy regulatory issues to consider too. According to the Global Driverless Vehicle Survey 2018 by Baker McKenzie, respondents of the survey were not aware of any laws or regulations in Malaysia that relate specifically to driverless vehicles. 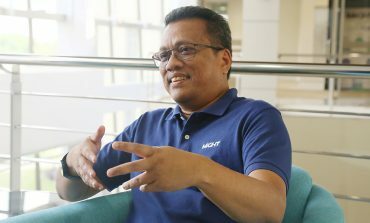 There are no prescribed standards or approval processes for driverless cars in Malaysia. 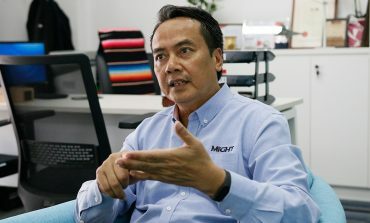 This calls on the attention of the Ministry of Transport (MOT), the principal regulatory authority in Malaysia that oversees the Road Transport Department (RTD) to look into the maturing technology trend. 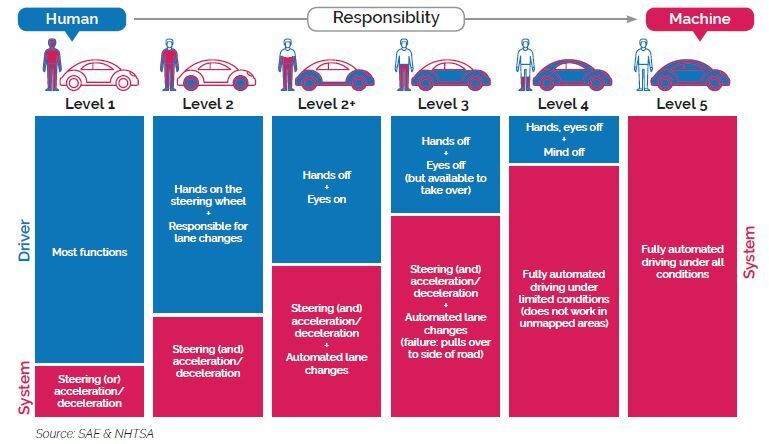 Meanwhile, a KMPG Report on Autonomous Vehicles Readiness Index (AVRI) published in January 2018 assessed the 4 pillars of country openness and AV preparedness. Saliently, the report stressed why policymakers need to anticipate the adoption of AVs now. Inevitably, ethical considerations need to touch on how AVs decide who gets killed in the unfortunate event of a collision. However, a recent study by MIT Media Lab suggested that AVs would most probably kill the person who is less reactive. More than 2 million people in over 200 countries took part in the survey. 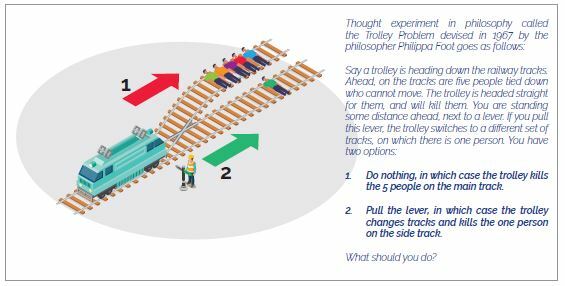 The survey represented an updated version of the famous “trolley problem” often used in philosophical thought experiments. In the experiment, study subjects were told to imagine a trolley heading down a track and to think about the various possibilities—like whether diverting the train to kill more people is better than leaving the situation to happen in an attempt to understand ethical decision making. And while the results varied widely between different groups, scientists found a number of common beliefs between them. • Humans are favoured over animals. However, the degree to which they agreed with the above considerations varied among different groups and countries. The survey also found that people tended to believe that cars should favour law-abiding citizens over those who don’t. However, machine algorithms do not have the ability to consider a person’s family ties, profession, fame, criminal record, gender, age or any other factors. consequences suggest a mobile red light district in the future will affect societal values. 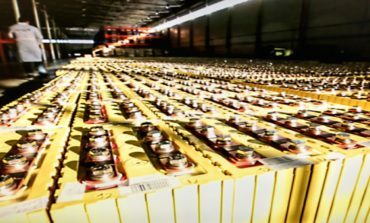 As Malaysia weighs how to formulate a regulatory structure around AVs, the country is currently revising its National Automotive Policy (NAP) to include a review of electric vehicles (EVs) and AVs. Although AI brings a lot of tangible benefits, we should fully comprehend where AI is lacking at the moment to make informed decisions. to the same fate too. There is a reasonable expectation that AVs will perform the same or better in all aspects than their conventional counterparts. However, it seems that current regulations are still behind the technology development and sometimes hinder the development and testing of AV technologies.